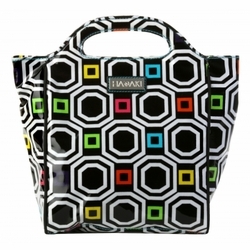 These Hadaki insulated lunch totes are a customer favorite. 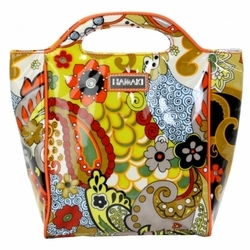 They are available in 22 fabulous design choices and either come in a Nylon fabric or a laminated/coated fabric. 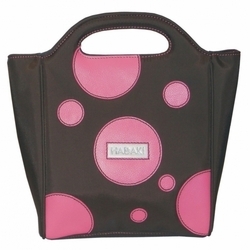 Both the nylon and coated totes are easily cleaned with the quick wipe of a cloth. 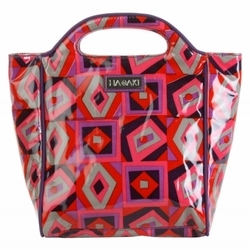 These light, eye-catching insulated lunch bags will be the envy of the lunch room! 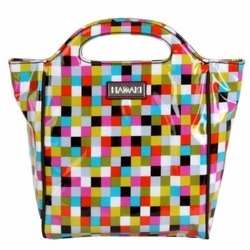 A New Orleans-based lifestyle company, Kalencom, best known for its eco-friendly diaper bags and accessories division Hadaki, will support efforts to clean up Louisiana's wetlands and animal life affected by the April Gulf of Mexico oil spill by donating a percentage of its sales during the month of June. Kalencom, which has been based in New Orleans for more than 35 years, will donate 10 percent of all sales during the month of June to the Audubon Nature Institute's sea turtle and marine mammal rehabilitation program, according to a press release by the company. Area sea turtles will be most affected by the oil spill, as this is the time of year when they migrate to Mexican beaches to nest. The company's donation through the Audubon Nature Institute will directly support the Louisiana Marine Mammal and Sea Turtle Rescue Program. 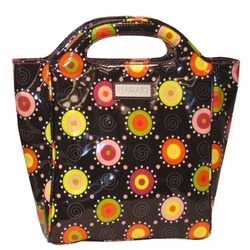 Kalencom is best known for its line of trendy diaper bags and totes. 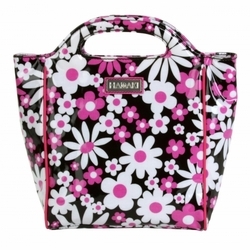 The Hadaki line features a wide variety of accessories for teens, tweens, and fashion forward professionals, including wristlets, wallets, messenger bags, backpacks, and duffels. 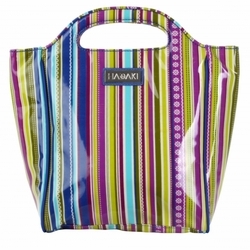 The company recently revamped its production so that now all Kalencom and Hadaki products are manufactured in an eco-friendly manner and are free of Phthalates, AZO, DEHP, DBP, BOP, and other harmful chemicals. Product Review from Leslie Love Veggies! 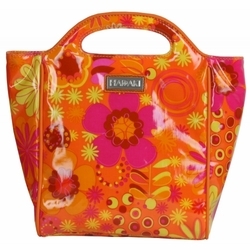 It's bright and upbeat and will save you money! My daughter snagged it the minute it came through the front door! 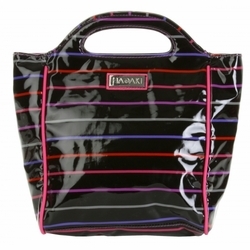 It's from a company called HADAKI. 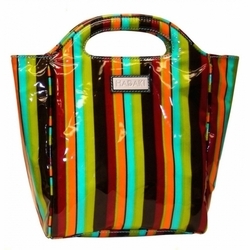 They make great accessories for teens, tweens and young professionals! 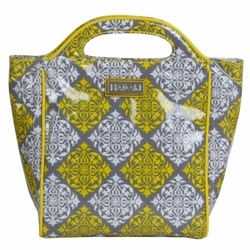 Hadakis's parent company is New Orleans based Kalencom (a well known diaper bag company), and both lines feature great colors, patterns, styles, and are eco-friendly! YES! 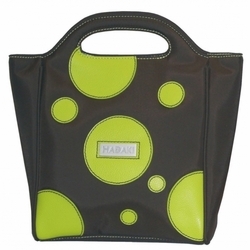 HADAKI is all about affordable luxury and fashionable function. 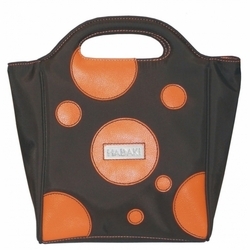 HADAKI products feature top quality materials and fine workmanship. 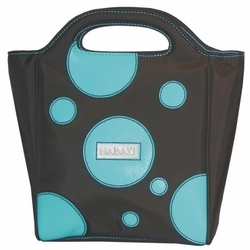 HADAKI products are eco-friendly, free of AZO and Phthalates/DEHP, DBP, BOP and other harmful chemicals. 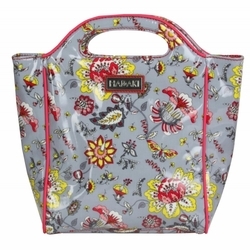 HADAKI products are easy to maintain, with most surfaces featuring water resistant and wipable fabrics and finishes. HADAKI consumers include students, young professionals and anyone who appreciates fun and funky design that makes life easier. 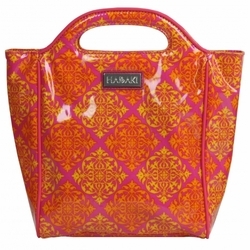 I was Blessed to receive a HADAKI Printed Coated Insulated Lunch Pod - Paradise Collection to review. 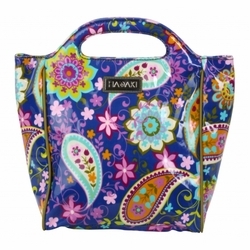 Magnetic snap closure opens to roomy interior Insulation helps keep items cold or warm Comfortable rounded handle Water resistant inside and out Easily wipes clean Eco friendly. 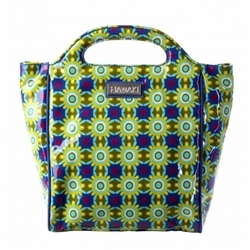 HADAKI products are AZO free. They use no Phthalates/DEHP, DBP, or BOP. Sweet Pea loves her new Lunch Pod. I'm so proud of her! She goes to school full time and works almost full time. She is on a tight budget so she always packs her lunch! 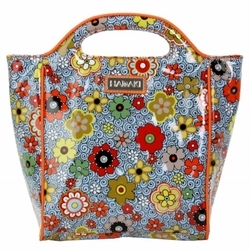 She also loves cute bags! She couldn't wait to get her hot little paws on this bag! The insulated interior didn't escape her keen eyes! She noticed that right away. 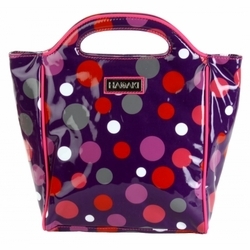 The Hadaki Lunch Pod will easily fit her lunch and snack. It's a really nice size. 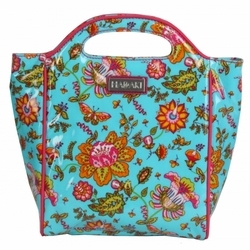 We love the magnetic snap closure. That will ensure that everything stays nice and cold! There's no need to stop and buy expensive fast food when you can pack a healthy and much less expensive lunch from home that will stay chilled in your HADAKI Insulated Lunch Pod!